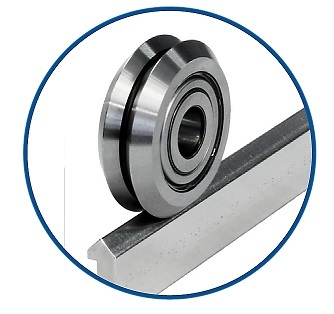 We sell the complete “Kit” as well , Track and bushings that go with these bearings. Just contact us for any questions you have. and usable for various applications as guide wheel. row angular contact type and also resistant to moment load.